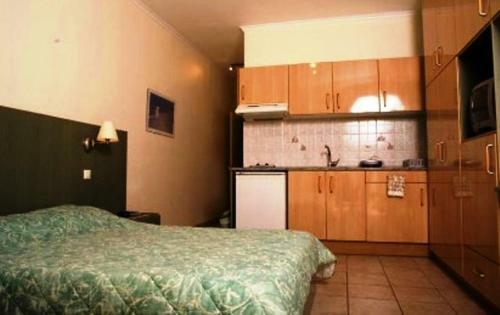 I liked the facilities of the room, the location of the vila (i.e. 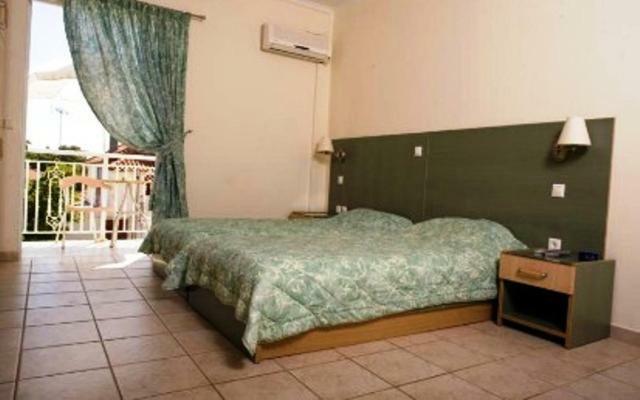 close to center, beach, tavernas, bus stop, shops, car rental, meat market etc), room was cleaned daily, spacious enough, clean sheets and towels every two days, air conditioning), it was quiet, not very hot because it was at ground level. Also, the host (George) was very welcoming and helpful and the staff was polite. All.in.all I recommend it! Room cleaning every day. Quietness. Very close to the center, beach, supermarket or restaurants. George is a great host and Village Sofia a great place to stay. Very bright and clean apartment. George was very welcoming and helpful. Studio was cleaned immaculately every day. Lovely soft and fluffy white towels changed every couple of days. George is an exellent host making us feel very welcome. Anything we needed was taken care of straight away and nothing was too much trouble for him ! I cannot speak more highly of the property and George himself!! Very much recommended!! It was a lovely place to stay, the cleaner was really nice and came in every day. George the owner was a really lovely man and nothing was too much trouble, he went out of his way to sort out our taxis to and from the airport. 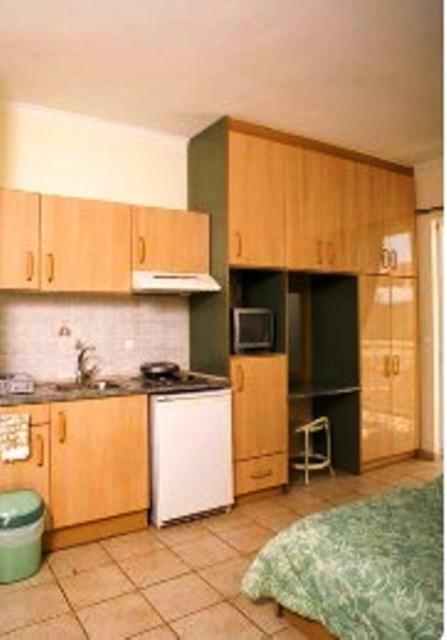 The apartment was in the perfect location, just 5 mins walk into centre of Skala but also nice an quiet through the night. Lovely warm welcome from George. Spotlessly clean quiet area but close to everything George was very helpful with anything we needed. Lock in a great price for Villa Sofia – rated 9.3 by recent guests! Located in the seaside village of Skala, Villa Sofia offers tastefully decorated rooms with well-equipped kitchenette and free WiFi access. The sandy beach of Skala is 1,650 feet away. Skala Beach offers sun beds, umbrellas and water sports facilities. Within 656 feet, guests can also find restaurants and supermarkets. Kefalonia Airport is 19 mi away and shuttle service can be provided upon charge and prior request via e-mail. On-site parking is possible, free of charge. 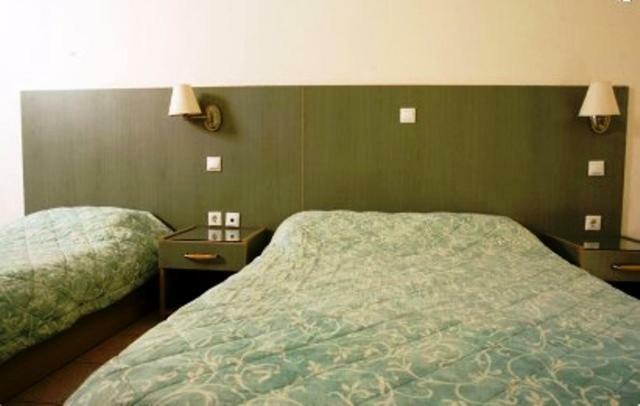 When would you like to stay at Villa Sofia? Air-conditioned studio with a furnished balcony offering view to the village and partial sea-view. 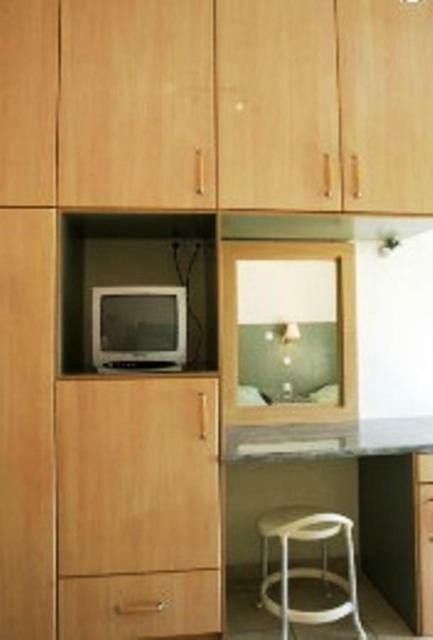 It features a kitchenette, free Wi-Fi and a TV. 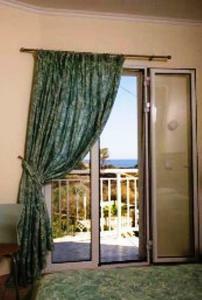 Air-conditioned studio with a furnished balcony offering view to the village and partial sea-view. 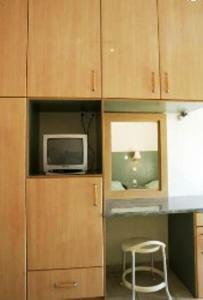 It features a kitchenette, free Wi-Fi and TV. Air-conditioned studio with a patio facing the garden. 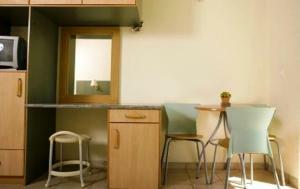 It features a kitchenette, free Wi-Fi and TV. House Rules Villa Sofia takes special requests – add in the next step! Villa Sofia accepts these cards and reserves the right to temporarily hold an amount prior to arrival. Kindly note that guests can leave their luggage at the property for 6 hours before check-in and 6 hours after check-out. Internet wasn’t strong enough. Never is anywhere I’ve stayed around Greece. 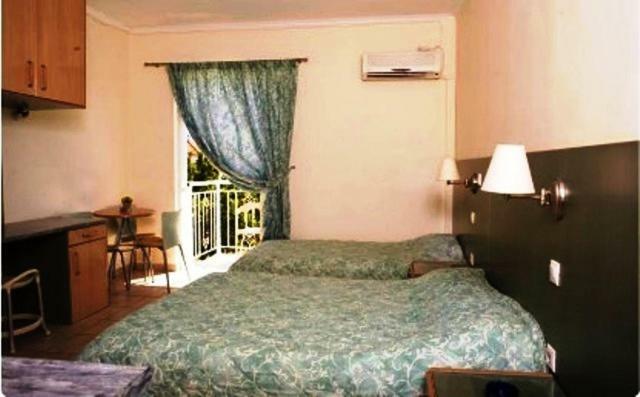 It was a clean , large room with balcony which had all I needed. George was a very helpful host. The beds were extremely hard. Played havoc with my back. But other than that, the hotel is simple, well priced and very clean. the only thing was the shower was freezing the first night-but to be honest we were so hot it was nice.! My wife Caroline and I have just returned from eleven fantastic nights on the wonderful resort of Skala, We thoroughly enjoyed our stay at Villa Sophia where our host George could not do enough for us ,even organising Taxis to and from the airport for us with no problems whatsoever, George was a fantastic host the room was spacious and spotless and we shall definitely be returning next year, Thank you George for making our stay a memorable one . The host, George, is super friendly. He had welcomed us at our late arrival before midnight. We stayed in a studio. Everything appeared new, modern and stylish. The studio with terase was cleaned every day. The personal very friendly and professional. We spend great holiday in Skala. Warmely recommended. Homeless cat appeared out of nowhere at every meal.